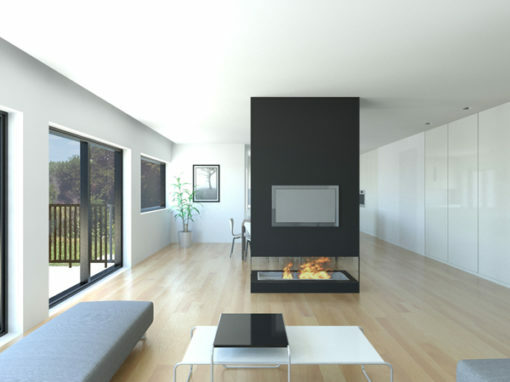 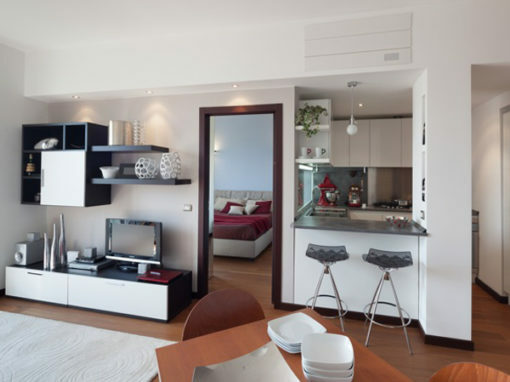 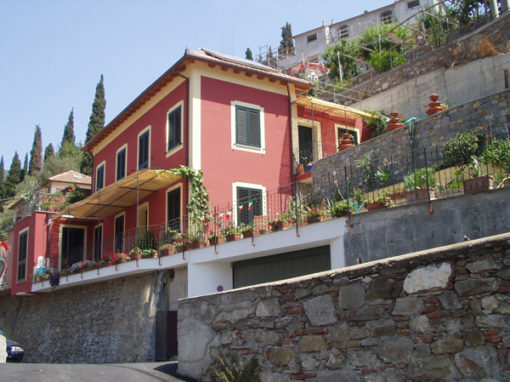 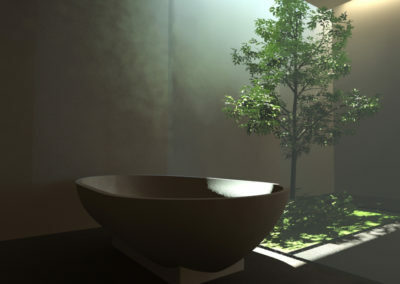 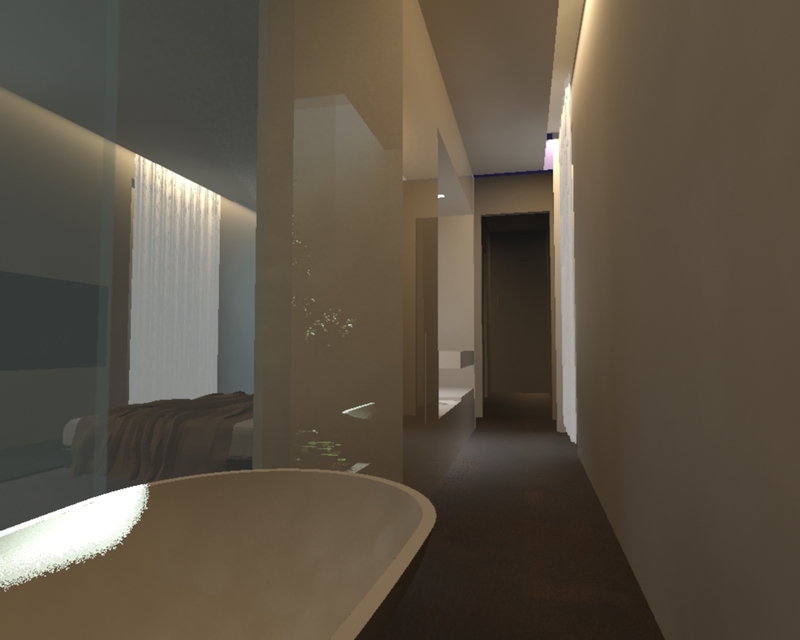 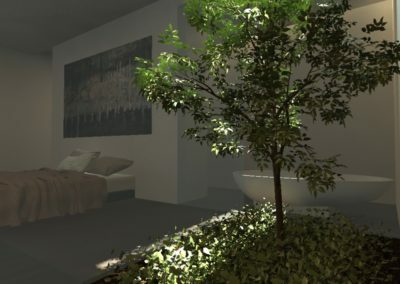 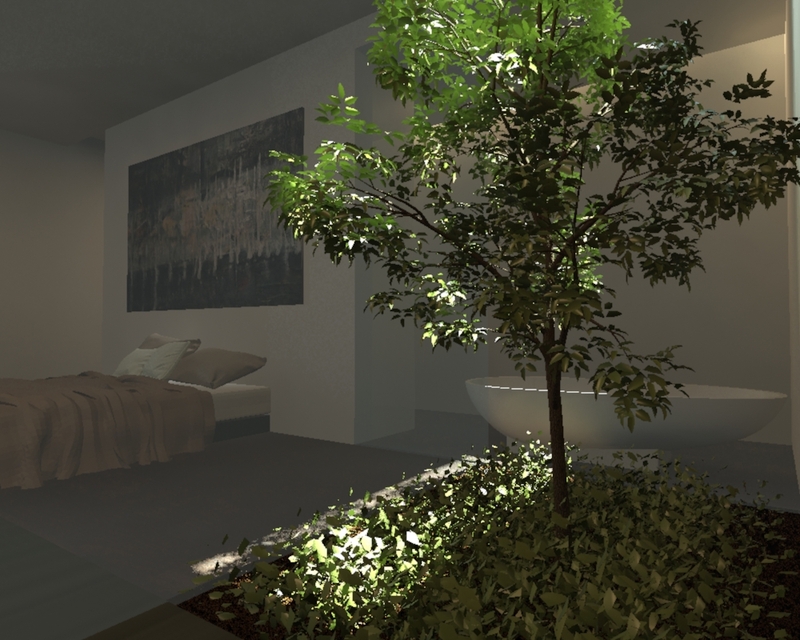 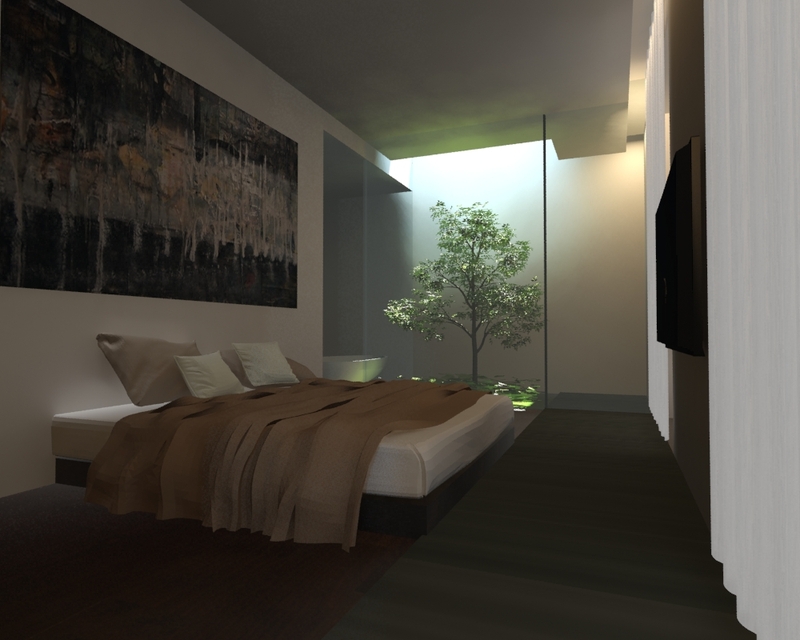 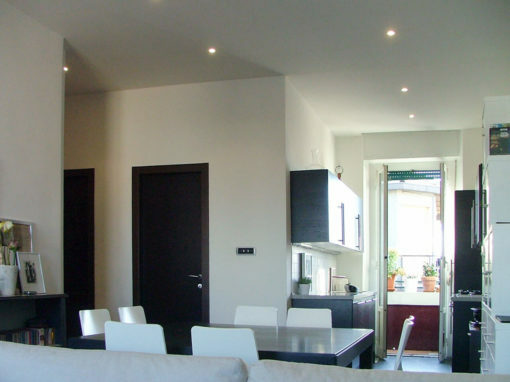 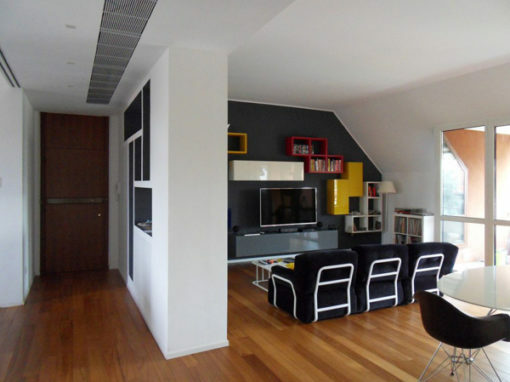 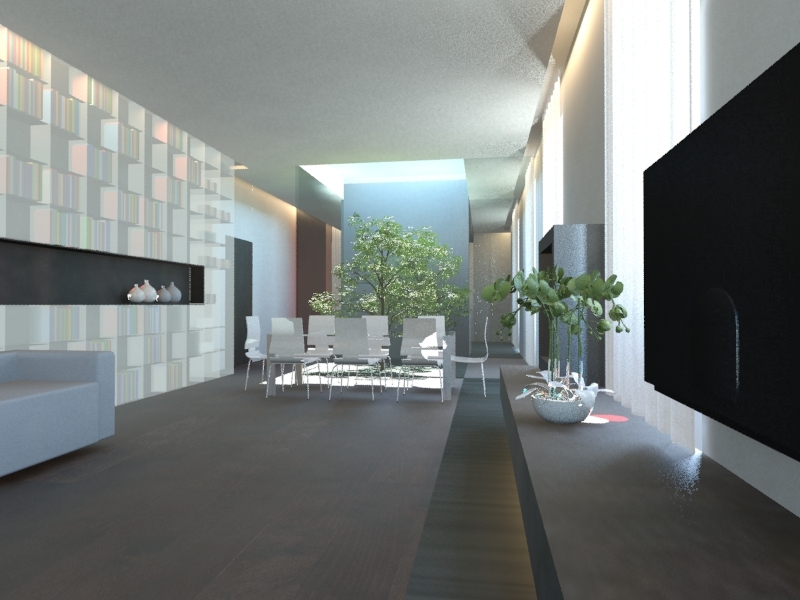 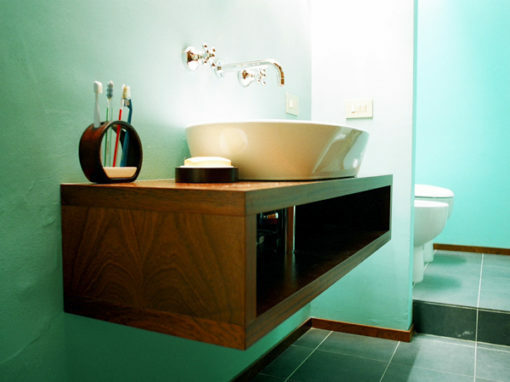 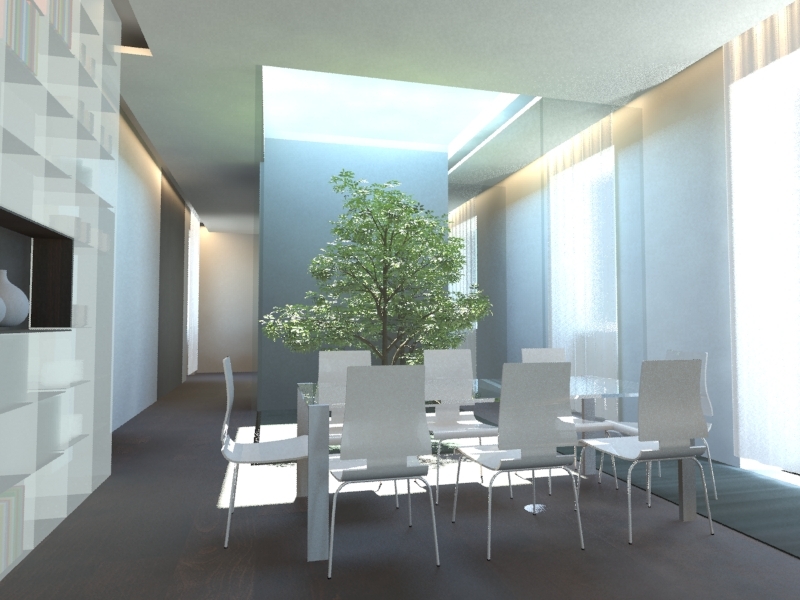 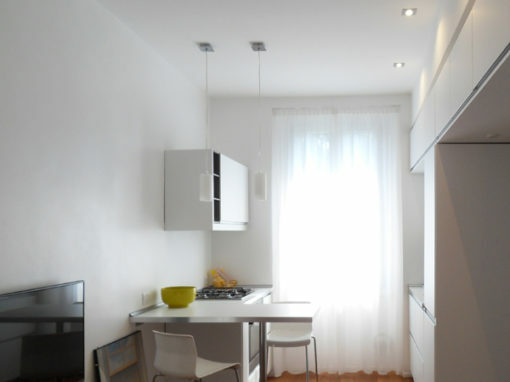 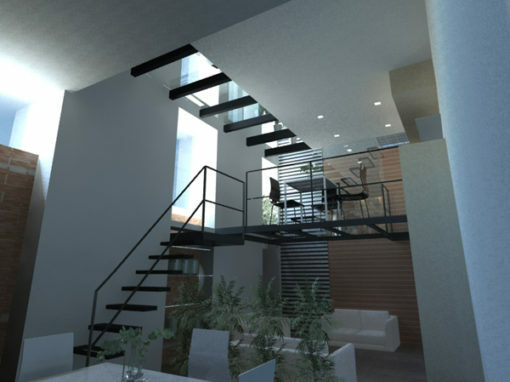 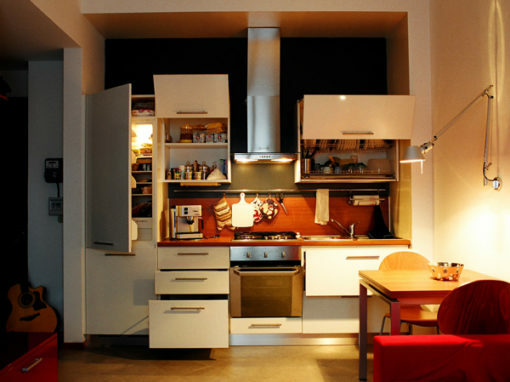 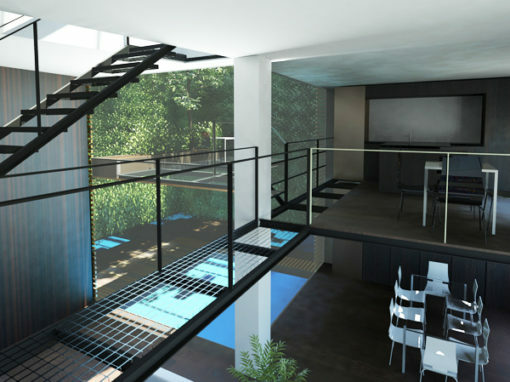 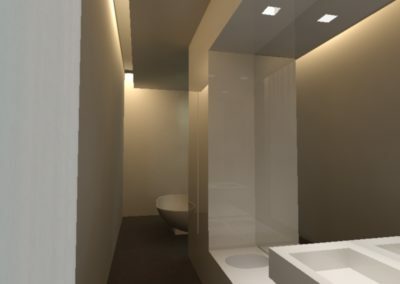 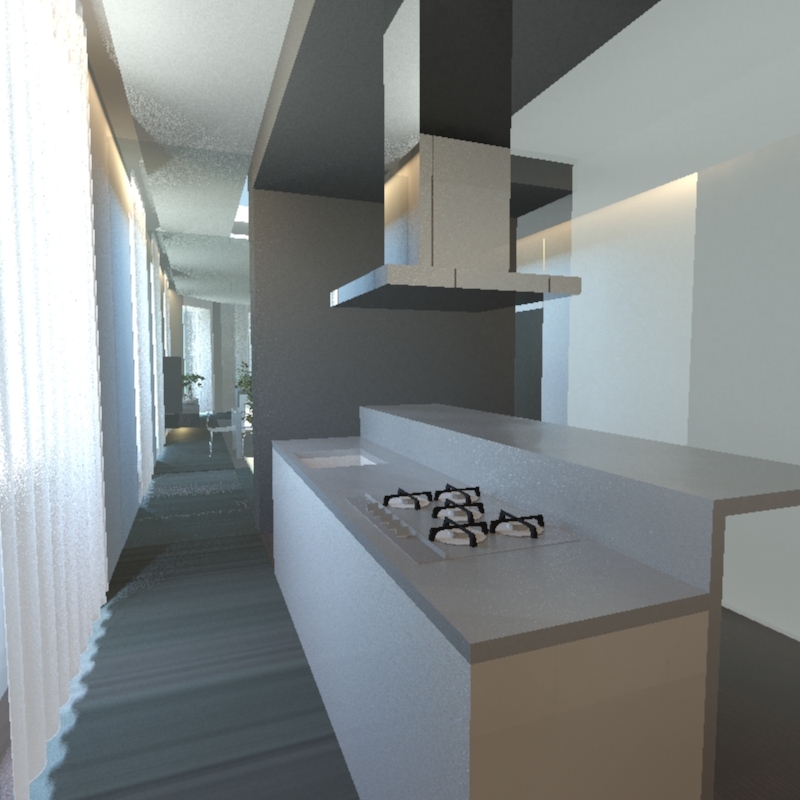 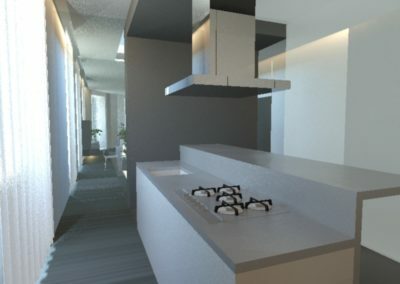 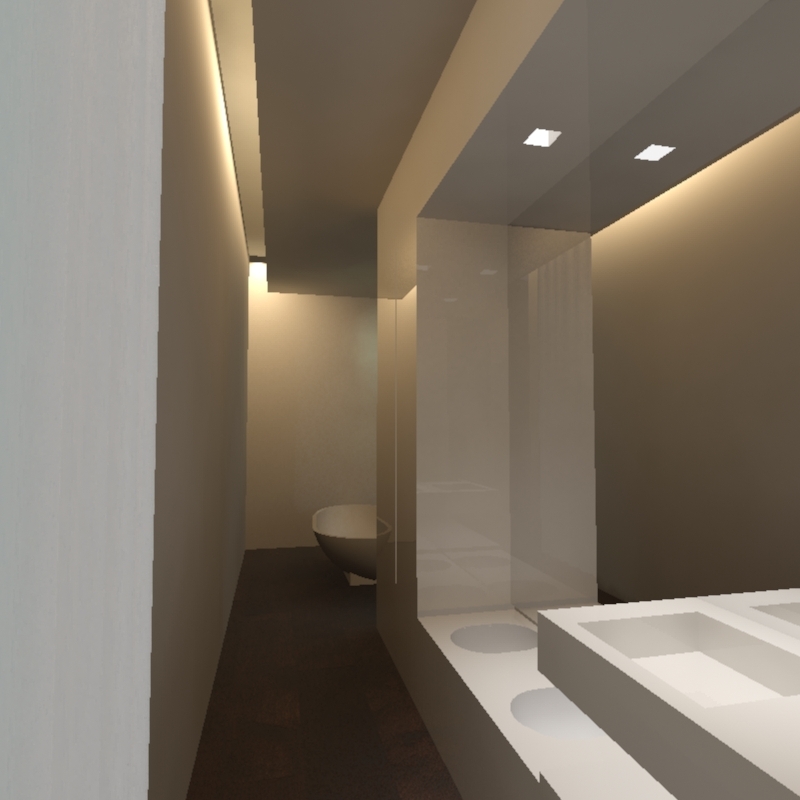 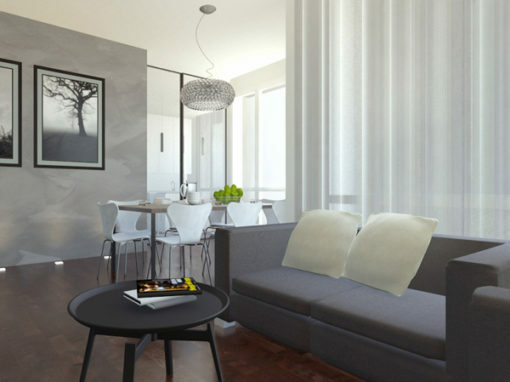 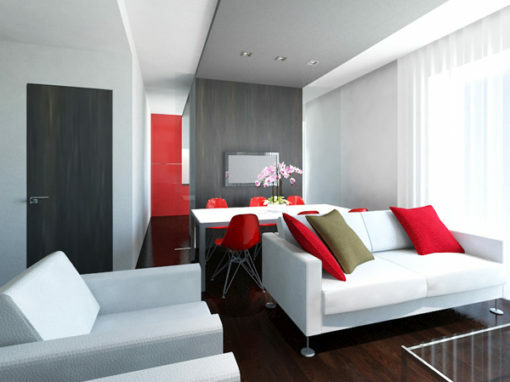 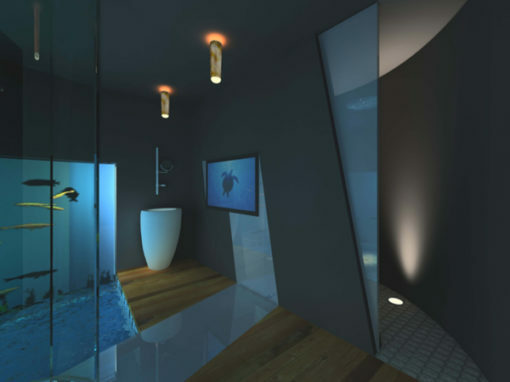 he project of this 150 sqm house develops longitudinally with the succession of living, kitchen, bathroom and bedroom. 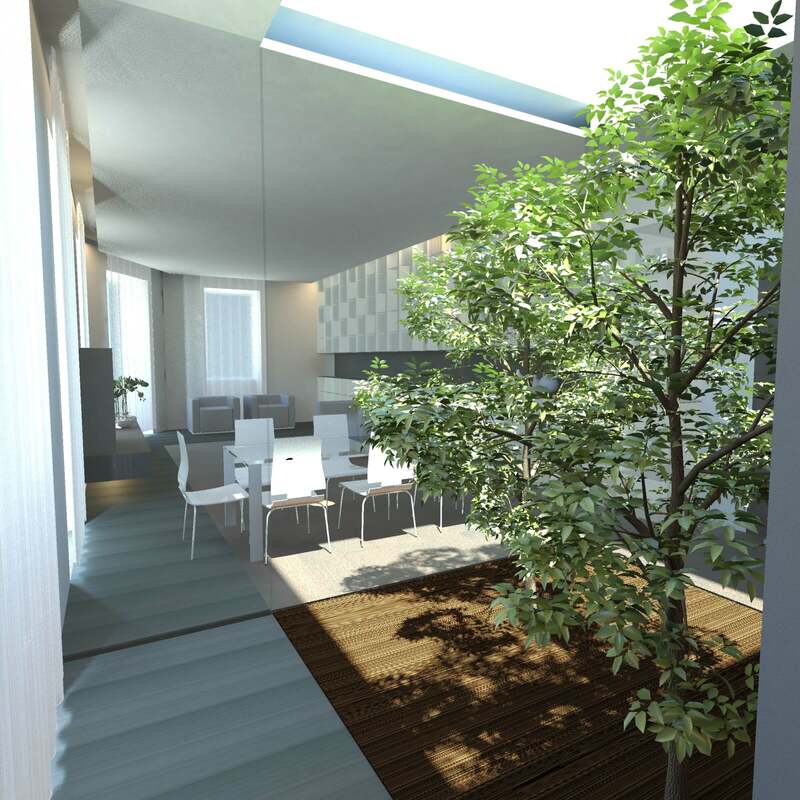 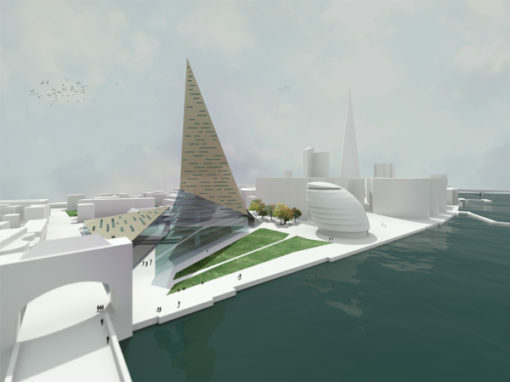 The axis on which the project is articulated is highlighted by the stone flooring that accompanies all the rooms and crosses the 2 gardens that characterize living and sleeping areas. 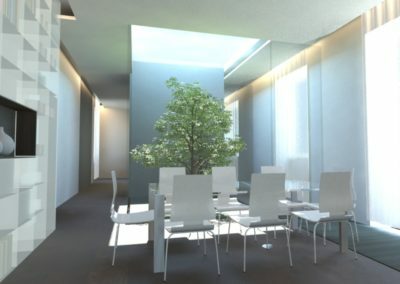 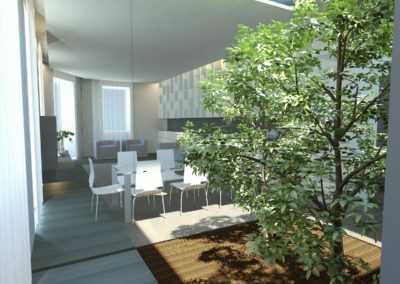 The extreme attention to geometry and the creation of indoor gardens illuminated by zenith light give a “zen” atmosphere explicitly requested by the client. 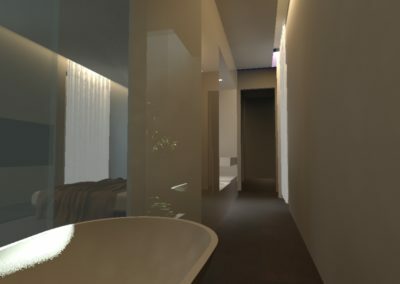 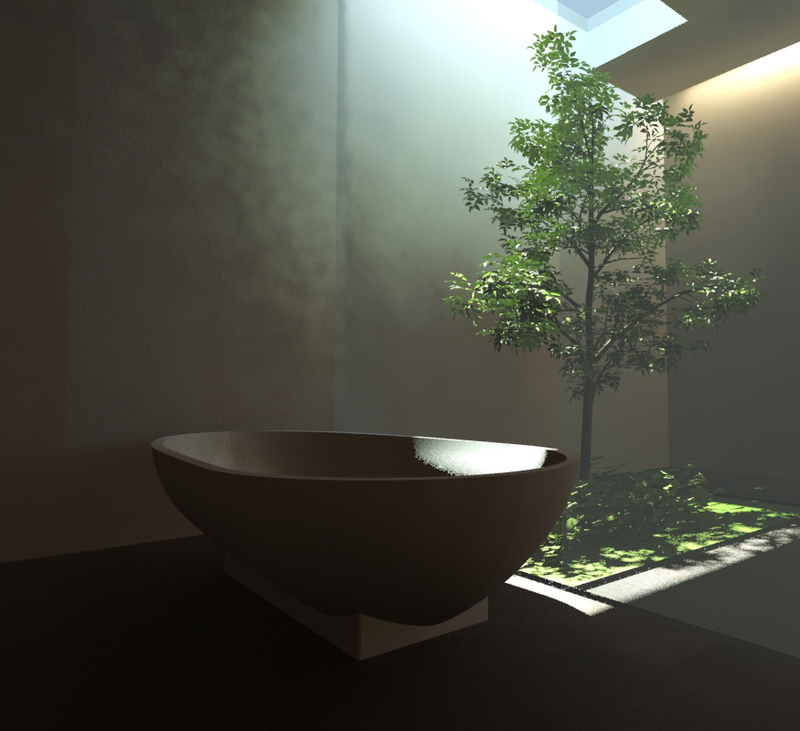 An example is also the master bathroom with bathtub placed next to the garden in a symbiosis with the typical nature of the Shinto culture.